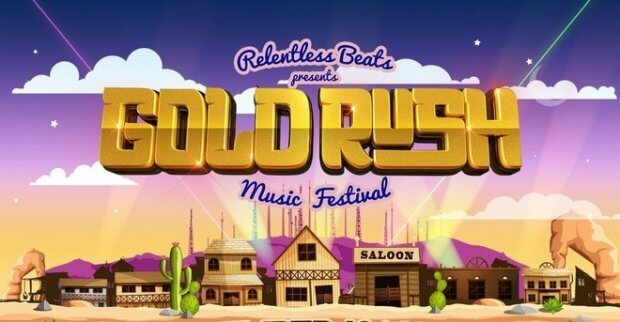 The Relentless Beats crew has announced Goldrush Music Festival… and I couldn’t be more excited! This brand new festival is heading to Phoenix, Arizona this November 18th and 19th taking place at the kitschy western theme park – Rawhide Western Town in Chandler, Arizona (featuring a Saloon, Jail, Mercantile, General Store, covered wagons, shooting gallery, and much more). The fully immersive event will tap electronic dance music and hip-hop prospectors from across the globe, performing on four stages, each with its own distinct musical focus and vibe – making it a truly one of a kind experience. It will feature an incredible lineup of performers including Marshmello, Migos, Dillon Francis, Lil Uzi Vert, RL Grime, Excision, and Claude VonStroke. With artists like this, it sounds like a plan to me! Needless to say, they really know how to curate the soundtrack to desert settings. This will definitely be Arizona’s biggest music festival to date! And I can’t wait for these amazing two straight days of hip-hop artists and DJs. Visit their official website for the most up-to-date information… and watch the trailer below to get hyped!